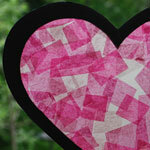 How can you make stained glass with children? Stained glass is an assembly of pieces of glass of different colours that together form a picture. When light shines through the transparent glass it brings the picture to life. Of course, in school, children can’t work with glass but you can play with light shining through tissue paper. 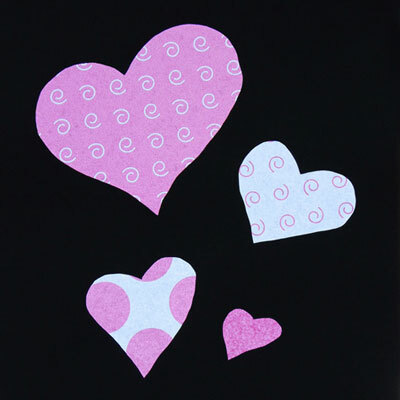 I propose an activity here where the students can create a heart in many shades of pink for Valentine’s Day. 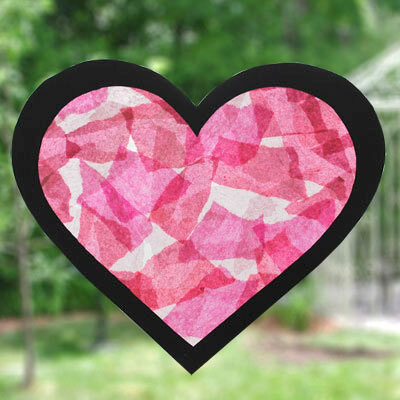 This project is an opportunity to talk about the Valentine’s Day tradition and at the same time see them marvel at the magic of light shining through translucent paper. Click here for the free printable document and pattern.